There are few things that Brits love more than a Royal Wedding as the whole nation comes together to celebrate the happy couple. Everyone has their ideal way for commemorating the special time; Whilst some prefer the slightly frivolous act of stocking up on memorabilia (hands up – we’ve all done it), we are here to help you monumentalise the noble nuptials in far more fabulous ways. While the Big Day is right around the corner (19 May), St George’s Chapel at Windsor Castle is not. 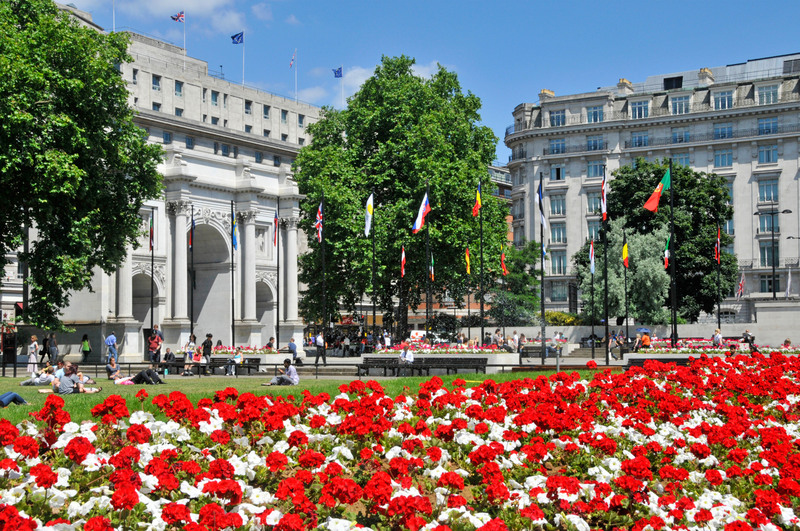 But fear not, because all the matrimony merriment is right on your doorstep – in Marble Arch! 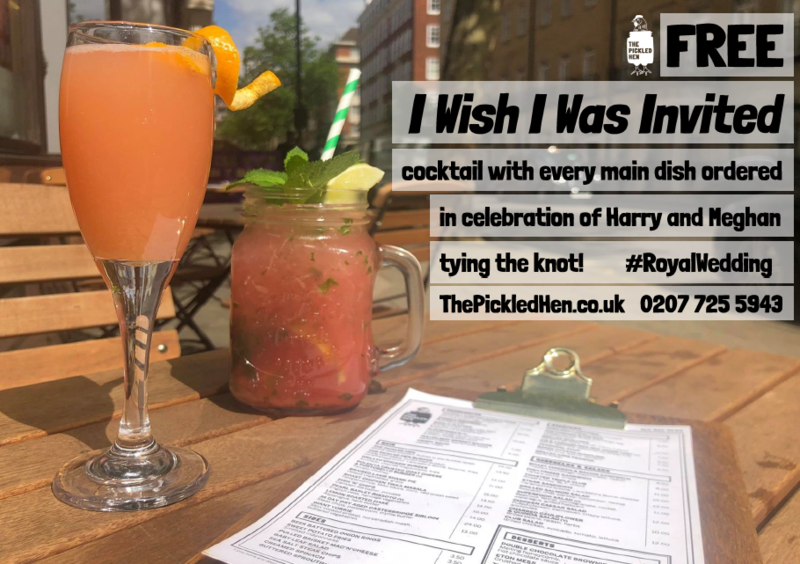 So, without further ado, here is your comprehensive list to help you celebrate the Royal Wedding in Marble Arch with some fashionable festivities fit for a queen or king! Feel like a Queen or King at Lanes of London‘s thematic Afternoon Tea from Monday, 14 May to Sunday, 20 May. Luxuriate in the expertly crafted menu featuring modern takes on traditional tea staples, like Fennel cured salmon, beetroot cream, pineapple sage finger sandwiches, Early Gray infused scones with orange and kaffir lime jam, Earl grey tea mousse with lemon sable, Blow-torched canadian bacon and maple syrup marshmallow and – of course – a speciality mini wedding cake to celebrate Haz and Meghs! Book here. 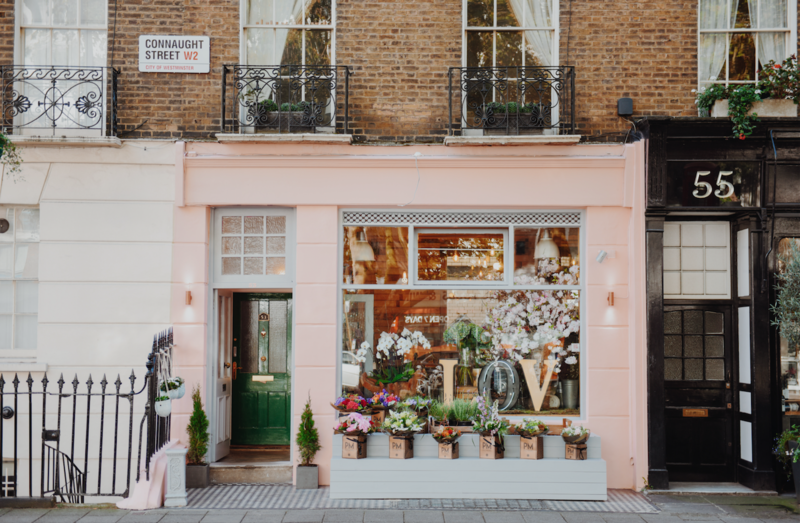 Meander the whimsical streets, boutiques, cafes and shops of Connaught Village and get in the celebratory mood with classic Union Jack bunting and blooming flowers. Nothing makes you feel in love like a gorgeous spring day in London and Connaught Village is just the thing! 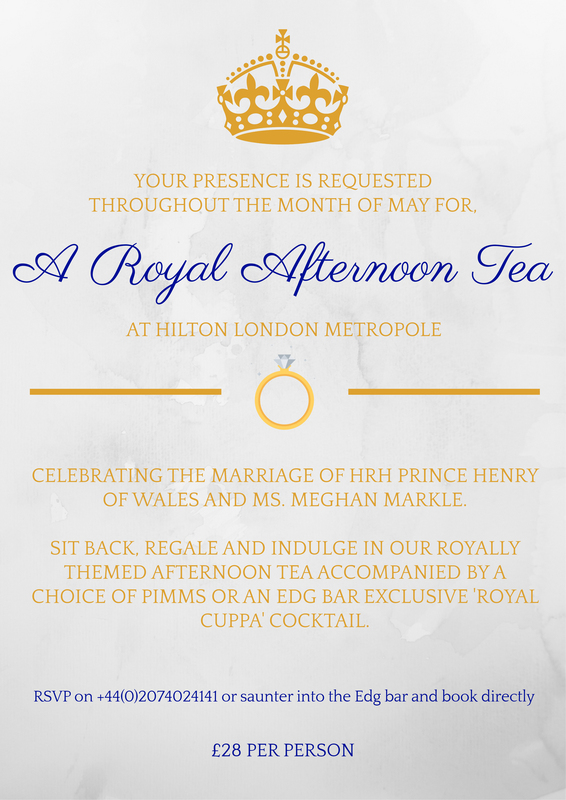 The Royal Wedding Afternoon Tea at Hilton London Metropole combines the much-loved memorabilia we all indulge in at this time with a setting suited for a (soon-to-be) princess. 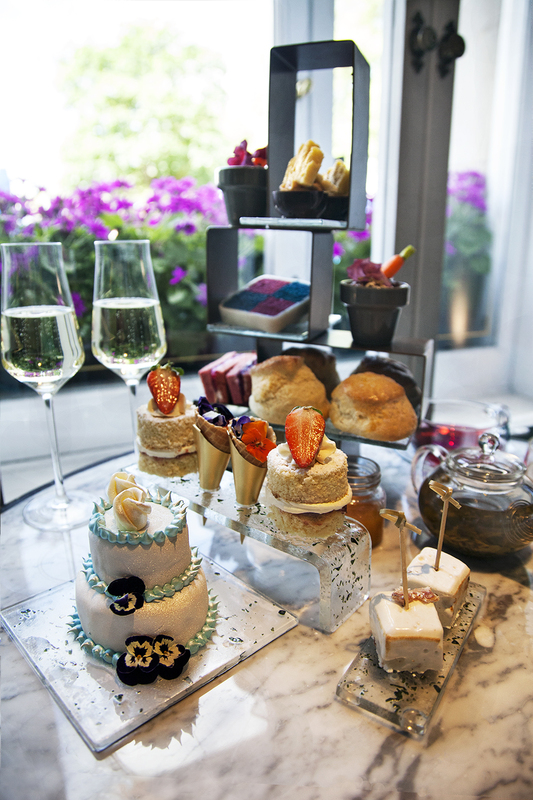 Indulge in sweet and savoury themed treats and the choice of the quintessentially British tipple Pimms or an exclusive cocktail from the hotel’s own Edg Bar, the ‘Royal Cuppa’. All of this glamour for £28! Spend like a popper to live like a Queen – yes please! Book details here. Dine like royalty at The Montagu with their Royal Wedding Set Menu. Designed by Executive Chef Mark Sainsbury and his team, this premium three-course set menu is inspired by Prince Harry and Megan Markle. The carefully crafted dishes are a fusion of British and American cuisines including White Asparagus Soup with Saffron Rouille and Caviar, as well as Mini Beef Medallion with Sous Vide Lobster and Potato Puree, even throw in a Kir Royal cocktail, darling. Options range from £40 to £60. Book here.. or have the butler do it. Children under the age of 12 receive a 50% discount. Live like royalty right here in Marble Arch! While Windsor teems with wedding guests, steal away to a stylish London suite for the weekend. With your every wish granted by Montcalm Marble Arch, relax like a royal in an atmosphere of timeless elegance, coming and going as you please to take in the pleasures of springtime in the city. They are offering a princely package that includes a two-night stay in a suite, Scones and Clotted cream served on arrival, leisurely full English breakfast each morning, an enticing £30 credit to redeem at their restaurants and – of course – A Royal Wedding souvenir. Full details and booking here. Enjoy the elevated lifestyle offered at The Zetter Townhouse exclusively for the Royal Wedding. 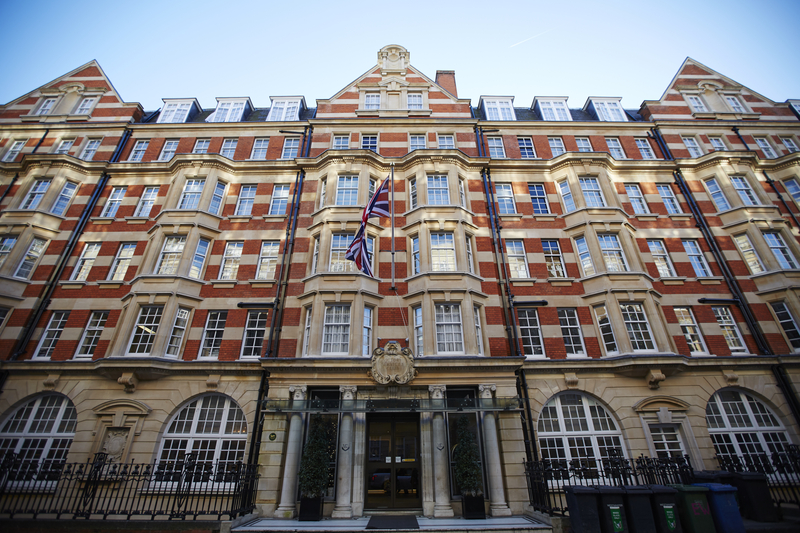 Decidedly regal and quintessentially British, your stay includes a Royale Royale cocktail on arrival, as well as a copy of Debrett’s handbook, the utmost guide to British social graces and high society etiquette. 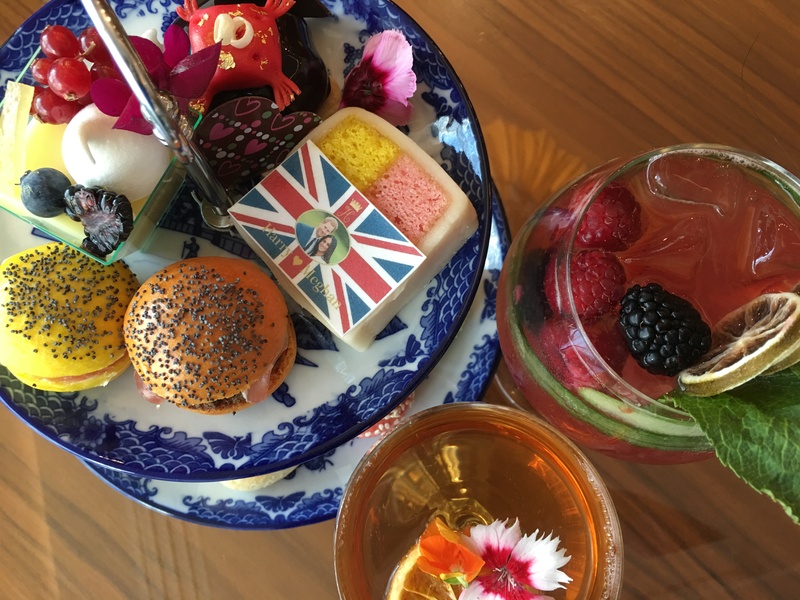 Yours to take home but also the perfect reading material to accompany the ultimate British pastime – their special ‘Royal Wedding’ Afternoon tea with British bubbles for two in the whimsical Seymour’s Parlour. Don’t let the party stop there – enjoy a full English breakfast the following morning. Book your stay here, Your Highness! Don’t want to fully commit to the Royal Wedding fever, but still a bit tempted (aka feeling jilted you’re not on the guest list ballot)? The Pickled Hen has just the thing – or drink – for you. Enjoy a free ‘I Wish I Was Inviting’ for free with every main course purchased on Saturday, 19 May 2018. Join your fellow monarchs at Edg Bar & Lounge for the live viewing of the Royal Wedding live on 19 May. The ceremony begins promptly at noon so reserve your seat well in advance. Honorable guests that you are, you have the choice between the lovely menu or treating yourself (which we highly encourage) to the Royal Wedding Afternoon Tea whilst viewing. Your royal initiation awaits here. Get the full British experience at the pristine and ceremonious Victory Services Club! From 12:00 – 16:00, watch the ceremony from their large screen in the award-winning Carisbrooke Hall alongside a 3-course lunch, welcome drink and half a bottle of wine in the gorgeous setting. If that wasn’t enough, VSC has prepared some pretty spectacular entertainment fit for a King following the viewing. Full details and booking here. The Montagu is celebrating the entire wedding weekend, 19th – 20th May, with a Royal Bottomless Pommery Brunch. Starting at £55 per person, guests will be able to feast on an outstanding selection of entrees including fresh seafood, fresh salads, charcuterie and British farm house cheeses, followed by a wide choice of mains including a live carving station with two traditional roasts, fresh fish and sumptuous desserts as well as freshly cut seasonal fruits. To top up the celebrations with unlimited Pommery champagne and soft drinks, book the premium package at £85 p.p. Guests will get to dine whilst enjoying a live screening of the Royal Wedding celebrations, whilst overlooking the picturesque Portman Square Gardens. Exclusively available on Saturday 19 and Sunday 20 May 2018 from 12.30pm to 3pm. Reserve here. Following in impeccably heeled footsteps of Ms Markle (soon-to-be HRH The Duchess of Sussex), you might feel inspired. Make your marvellous way to Connaught Village, the perfect place to try out everything you need for your own perfect wedding or as the ideal guest at a loved one’s special day. The village – an oasis in the heart of London – is home to a mix of exclusive, independent retailers where you can try out the services prior to your wedding at designer boutiques, delicious restaurants and cafés, a cheesemonger, wine cellars and hair and beauty specialists. All details are available here. Take advantage of the honeymoon period and experience a truly ‘Royal’ season until September 2018 at Hyatt Regency London – The Churchill with its range of bespoke Royal experiences, starting in May.